According to 6ABC: 22-year-old Oliver Robinson was asleep in his bed when a bullet ripped through the wall right over his head, striking him in the shoulder. Bullets also hit a boarding home where there were 10 adults inside and the home next door where there were five adults. CBS3 is reporting: Police have collected numerous bullet shells, which they say indicate the bullets came from an AK-47 rifle. Police say that just before 2 a.m. Friday, the gunman fired at least 17 shots at two homes on the corner of 53rd and Euclid, according to NBC10. They say the shots were fired from a playground across the street. 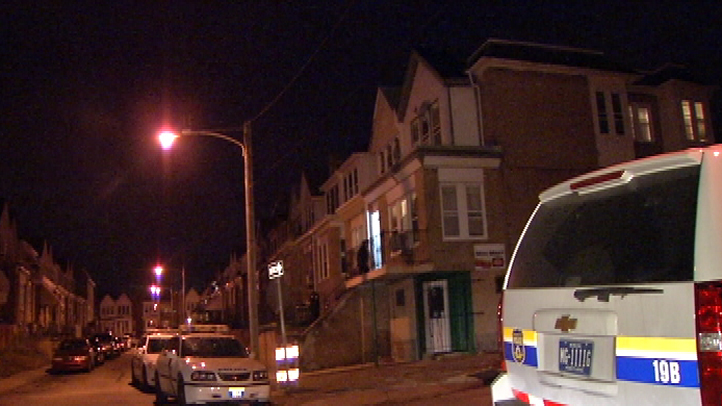 Investigators don’t believe the man who was hurt was the intended victim, according to Philly.com. The man was taken to a hospital, but he has been treated and released, Little said.